Today – Roundwood Press releases a new ebook. How powerful are these lessons? Nine hundred and ninety-nine years, one month, ten days and give or take about an hour ago (as of this posting), Ireland’s greatest ever chieftain – Brian Boru – wielded these lessons to change the destiny of an island, and crack the power of Viking invaders. On Easter Day in the year 1014, these lessons powered the man who grew up as a shepherd boy to galvanize a thousand tribes, summon enemy longboats from as far away as Iceland to do battle, coalesce the energies of vibrant but disheveled island people, and smash the raging armies of arrogant foreign plunderers. Boru’s greatest battle – at Clontarf along the Irish Sea – raged all day, but the outcome was clear by mid-afternoon. This pamphlet summarizes challenges faced, and victories won, by Brian Boru, and highlights lessons he mastered to change the fate of Ireland. Today, these lessons are still potent – whether to gain personal victory, or to reshape the course of life. This is the first publication from the new Dreaming Leader series. It kicks off a series of concise, inexpensive lessons that are clear, simple, and practical. Upcoming titles will include lessons from a Carthaginian general who invaded and defeated the Romans, as well as lessons from Eleanor of Aquitaine, a powerful but unconventional female ruler in France. The main Roundwood Press website page will soon be updated to include this new series. In the meantime, click on the cover image above for information from Amazon, or click here for details from Barnes and Noble. You don’t need an ereader – you can download the Kindle app or Nook app to your phone, computer, or Ipad. We realize and understand how you love printed books. So do we. And they are not going away. But the time has come to also enjoy another format for reading – that of ebooks. We appreciate your visit to Roundwood Press. As the Irish say – Go raibh míle maith agat. Let a thousand thanks be upon you. 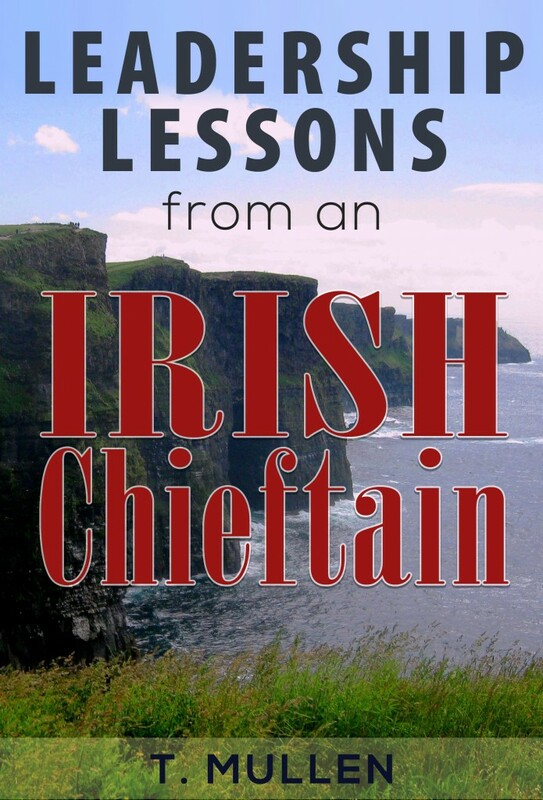 Click here to read more about Leaderships Lessons of an Irish Chieftain.